Ideal for comic book stores and conventions, this zombie shaped stress reliever is sure to get noticed! 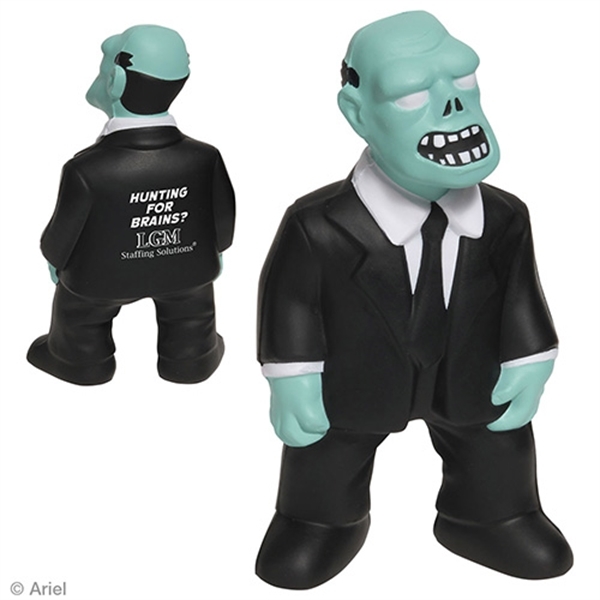 Made of squeezable polyurethane, this 4 1/2" x 2 5/8" x 1 3/8" zombie can be customized with your company name and logo for instant brand recognition. Our products are not intended for children under three years old or for pets. Order yours today and help your customers relieve their stress with this unique giveaway! Size: 2.625 " x 1.375 " x 4.5 "
Ship Weight:27 lbs, Shipping is UPS, FedEx, or truck line by request. USPS is available for APO addresses only.